At Sorted Surf School we only use premium surf equipment. Our wetsuits are provided by our sponsor, O’neill, our SUPs are state-of-the-art models provided by Red Paddle Co. and our foam surfboards are designed for learners provided by Hot Surf 69 and Alder. 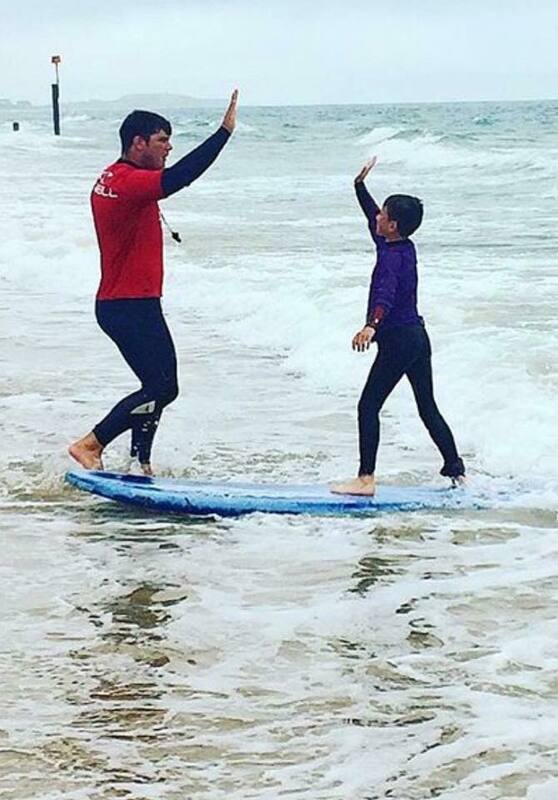 Our coaches are premium too; all of our coaches have an SLSGB Beach Lifeguard Qualifition, ISA Surf/SUP Coaching Qualification and a full DBS check, so you know you or your kids are in safe hands. Our group surf lessons are a great option for anyone who wants to learn how to surf or improve their skills. Lessons are always kept to a maximum of 8 pupils per coach. We run group lessons throughout the winter on weekends and every day during summer. Lessons run for 2 hours and includes all equipment hire, coaching, wetsuits, rash vests, boots/gloves, hot showers, changing rooms and a 10% discount in our shops. Our group SUP lessons are the perfect option to safely learn how to paddle board on open water. Many people do not realise how difficult paddle boarding can be, and the risks that can be involved, so our lessons coach you on safety as well as technique so you can hire or use your own board with confidence. We run SUP lessons throughout the winter on weekends and every day during summer. Lessons run for 1 hour with an extra hour of free SUP hire to be used anytime. This price includes all equipment hire, coaching, wetsuits, rash vests, boots/gloves, hot showers, changing rooms and a 10% discount in our shops. We also offer private lessons, which run for 1 hour and can be booked anytime (dependent on conditions and coach availability). Private lessons come with 1 hour of free hire after the lesson, and include all use of equipment, wetsuits, rash vests, boots/gloves, coaching, hot showers and changing rooms. There is a slight discount on prices for added students, please email maya@sortedsurfshop.co.uk for a quote. We offer surf/SUP lessons for private groups which are perfect for parties, hen/stag dos, corporate team building exercises and schools. Prices are listed below by group size. Please email maya@sortedsurfshop.co.uk for more information and quotes. Groups larger than 24 will be split with the lessons running back-to-back.